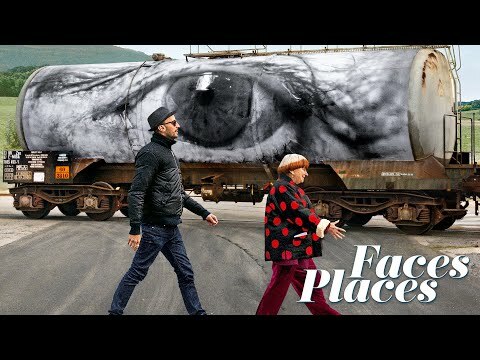 Agnes Varda, one of the leading lights of France’s honored French New Wave cinema era, and professional photographer and muralist, J.R., partake on a special art project. Together, they travel around France in a special box truck equipped as a portable photo booth and traveling printing facility as they take photographs of people around the country. With that inspiration, they also create special colossal mural pictures of individuals, communities and places they want to honor and celebrate. Along the way, the old cinematic veteran and the young artistic idealist enjoy an odd friendship as they chat and explore their views on the world as only they can.